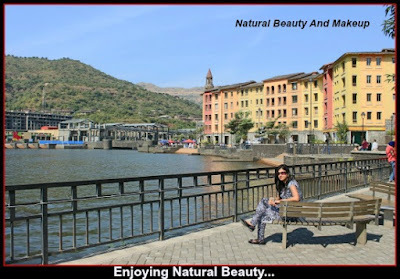 About Lavasa: The Lavasa city is a smart private planned city constructed by a unit of Ajit Gulabchand’s Hindustan Construction Company. It is located near Pune in the Mose valley of the Western Ghats. This city is famous for its Architecture. The designs of the residential buildings are inspired from the Italian city Portofino. 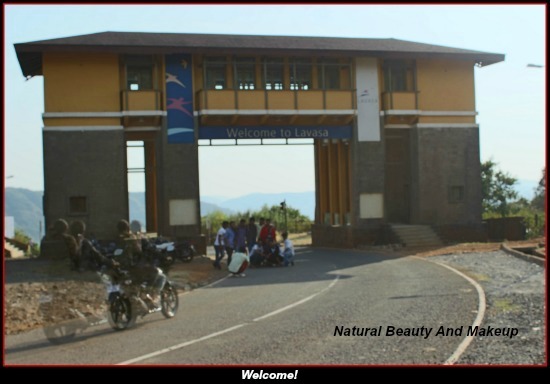 Trip Experience: We started our journey by 11 am from Pune, and it took around 3hrs to reach Lavasa by car. 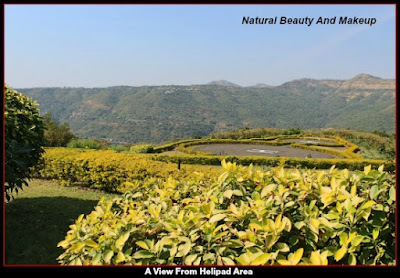 We took the route via Mulshi Road and the drive was smooth and fine. 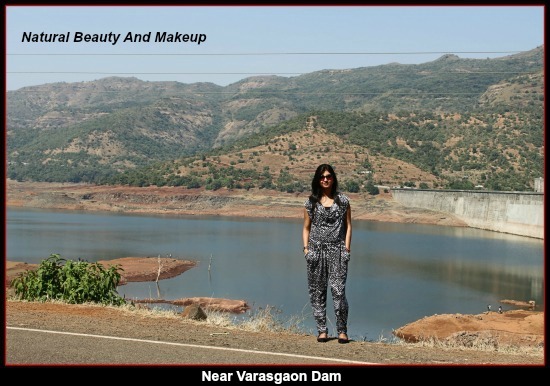 On the way to Lavasa, there are places from where you can see the exquisite view of this valley. Like others, we also clicked pictures there. I was gazing at the awesome landscape that this lake city has to offer, such picturesque. Initially I thought, that this place would be quite and calm, away from the city’s hustle and bustle. On the contrary, when we actually reached Lavasa it was fully crowded, of course with happy and excited faces!! Lavasa is a smart city which boasts of education, entertainment and business opportunities. 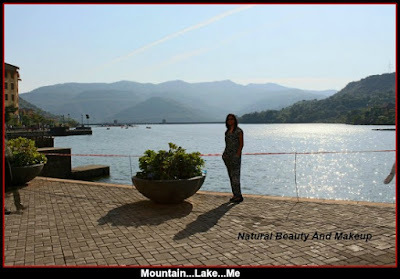 It offers some amazing lakeshore water and adventure sport activities. Since both of us have water and height phobia, we kept ourselves away from these sports. But if you are an adventure freak, then this place is surely going to entertain you to the hilt. 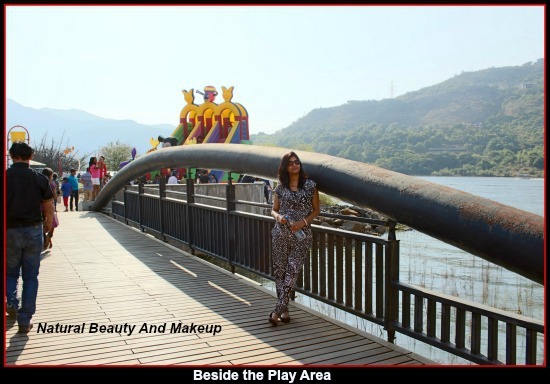 From Jet Ski to Splash pad water fun, or say tours like Natural trail, Trackless train and Segway tour are amongst the bouquet of fun activities offered by Lavasa to quench your thirst for entertainment. Apart from these, there is a Hop on Hop Off bus also that you can avail, which will take you to roam around Lavasa city. There are waterfall safari, street plays and OASE fountain – a laser animation show kind of entertainment program, which I think you surely would enjoy. Unlike others we did nothing much, but started strolling around the lake promenade and clicked photos of the lake, mountains as well as the buildings. We enjoyed our bicycle ride around the lake. It was a clear bright sunny day, what more could have I expected from God. But sad the scorching heat tanned me badly and moreover the heat was so strong, my head started spinning! Nevertheless, I was elated to get the chance of spending the day with my husband in such a beautiful place amidst nature. 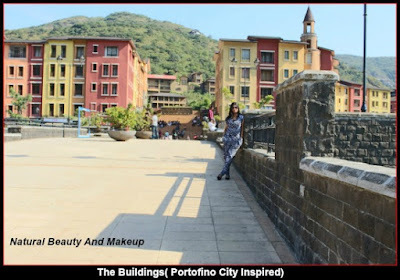 Lavasa City has some good food joints and has descent quality foods too which we relished a lot. Around the lakeshore, there are small shopping outlets for the shopaholics. It’s true that one day is not enough to cover the entire city or the fun activities; you need to stay here for couple of days at least. Moreover Lavasa provides you with an array of choices in this section also. We roamed around the city, spent some quality time and returned by evening to Pune. For this day, I wore a simple yet comfortable dress like Jumpsuit with minimal accessories. Kept my hair open and wore my favorite shades. 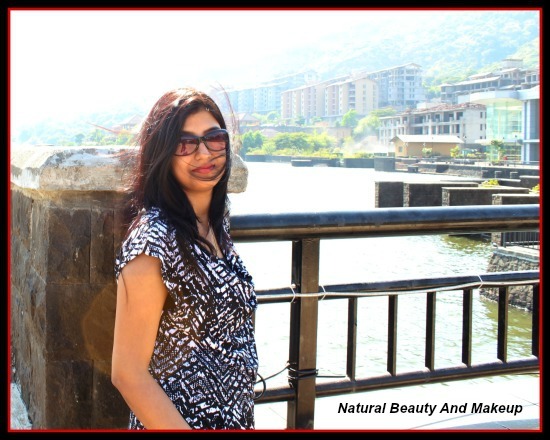 Needless to say, both of us had a wonderful day in Lavasa City and I will cherish this forever. One thing which I felt is, the best time to visit this place would be monsoon season for sure. So make a plan, visit this city and let me know how you felt this place to be. 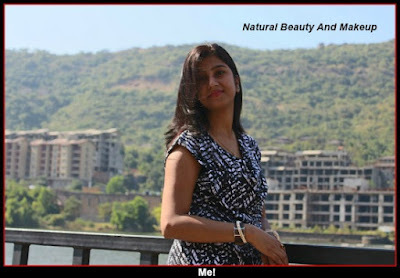 N.B = This is my first ever Travel & OOTD post, I would like to know how did you like this post. Your comments and suggestions are much appreciated. If you liked my posts,then please do share and subscribe NBAM. Thank you so much,it means a lot Amitabhji:) Yes this place is truly awesome with beautiful scenery. Do visit! what a lovely post. you looks beauty at beauty places. I like to visit here. Really nice post Anamika. 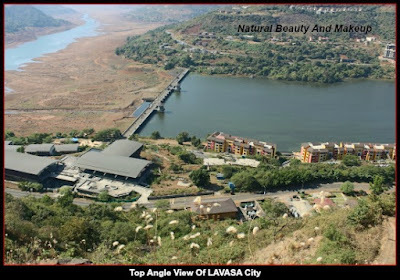 Actually I quite disliked Lavasa. It was built upon destroying some amazing forests, and the lake. Then it’s ugly. Somehow it all looks like a cheap TV serial set. The architecture looks copied but there is no aesthetic refine,Ent when you look up close.